Over 30 years ago, Beatriz Fernandez would never have thought she’d become one of Colombia’s most influential changemakers when she first started baking waffles from the family’s apartment in Bogota, using her own invented recipes. Today, the popular restaurant chain Crepes & Waffles is a certified B Corporation and a landmark brand to millions of customers that eat there every day. 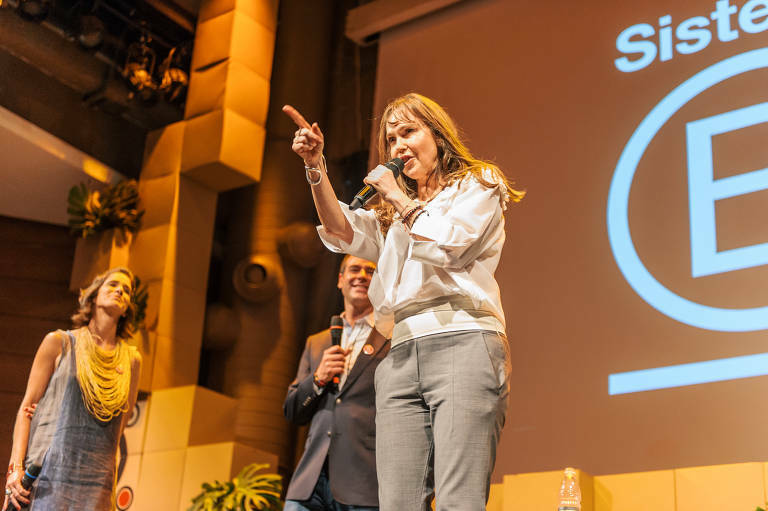 She shares “Everybody can be a changemaker, and I’m an example that nothing is impossible when you transform a heartfelt desire into action with limitless energy”. By deciding to hire women only – most of them single mothers – it’s also empowering thousands of women to be financially independent. 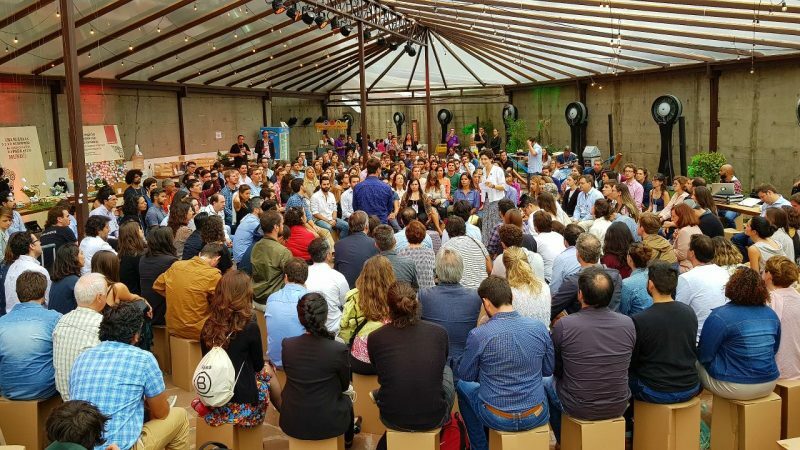 Last week, over 500 Latin American “changemakers” like Beatriz came together at the Encuentro-B, LatAm’s Benefit Corporation’s annual meeting, hosted this year in Sao Paulo, Brazil. Sistema B was founded in 2012 as the Latin American sister to the B Corp movement originally founded in the US in 2007 as a private certification issued by the nonprofit B Lab). In Latin America, Pedro Tarak (co-founder of AVINA and prolific bridge builder) and other prominent thought-leaders from the private sector and civil society were exploring new models of growth for Latin America that were not solely focused on making a profit. 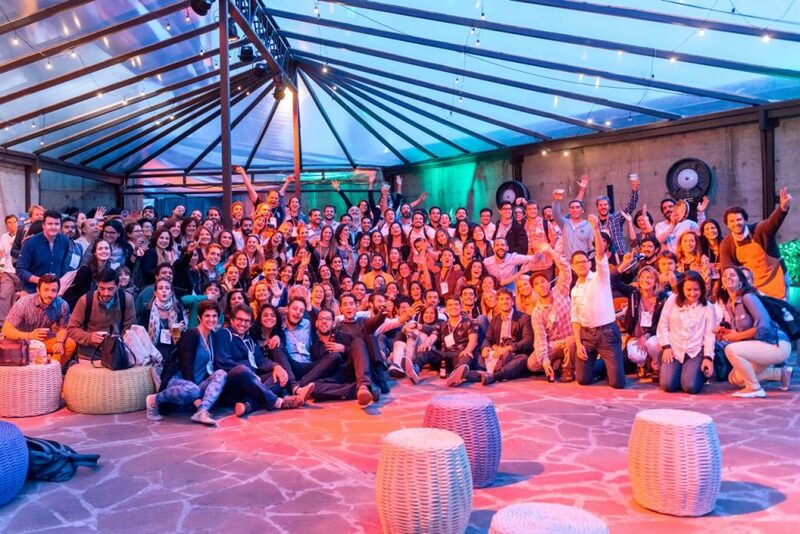 They realized a new framework for doing business FOR the planet was needed, and that it was time to launch an inclusive movement from within Latin America, with the capacity and attraction to grow organically. 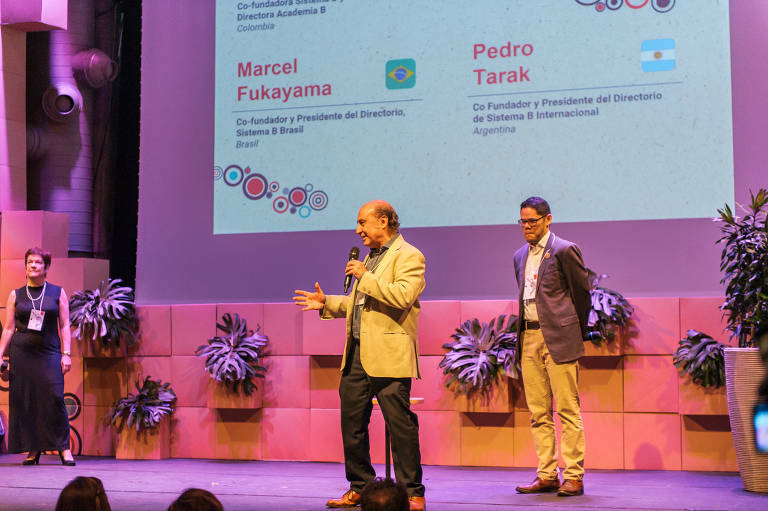 Pedro Tarak (ARG), co-founder and president of Sistema B International, together with co-founders Maria Emilia Correa (COL) and Marcel Fukayama (BR). One example of “taking care of each other” is the story of Sergio Núñez from Tandil, Argentina – who one day found his son come home brutally beaten by some youngsters in the street. Instead of becoming bitter, he started to address the deeper problem that lies behind senseless violence. His research led him to start a neighborhood bike shop “El Bicicletero Solidario”, where young people at risk learn a trade, develop work experience, and work to find meaning. “We remodel old bicycles and through that, we teach that what is perceived as trash by many people can become something useful again“, explains Núñez, who still leads the workshop today. He recognized that the solution to the problem of insecurity is an equal access to opportunities, something he now helps generate. To become a changemaker you don’t always have to start a new initiative or organization. There are many incredible initiatives out there already. To multiply we need professionals from the mainstream economy to join, by tapping into their purpose, and start supporting B-corps to accelerate their impact. One way to do this is to become a B-Multiplier or to go Experteering with a B-Corps, and help accelerate their impact. You can be a changemaker too, by empowering the B-Corp movement, and joining MovingWorlds here to explore new Experteering projects. … or browse more projects here!